Be a part of the Remington family. Our success hinges on partnering with the best people. A simple, customer-first ideology that’s rooted in family values. To achieve our goal of producing high quality seed, Remington Seeds need high quality people. The employees at Remington are the most valued asset. We know that in order to retain the highest caliber talent, they must be treated right. The company was founded on treating employees like family and that continues to be an important part of our culture. We provide a safe, respectful, and fun place to work. Where employees are rewarded on their merits and we share the wealth. Employees of Remington Seeds are partners in our success. Safety comes before everything. Our goal every day is to provide a safe workplace for anyone partnered with our company. Respect is required to be a part of Remington Seeds. Respect must be given to each employee, vendor, and customer. Anything less than that is unacceptable. The overall goal of our company. We not only value providing a high quality unit of seed but a high quality experience as well. The tool that we use to provide outstanding experiences to our customers and employees. As a company, we strive to become as efficient as possible. A melting pot of individuals with the same goal in mind. Remington Seeds employs a large cross section of individuals. We have many jobs that are seasonal in nature and some that require specific skills. Everyone in our organization has the same goal, produce high quality seed and make our customers happy. Our full time employees are the backbone of Remington Seeds. These individuals often wear multiple “hats” throughout the year as our seasons change. A full time employee must be able to perform multiple tasks and embody our culture. Full time staff receive multiple benefits along with participation in our profit sharing bonus program. For a variety of jobs, Remington Seeds hires Seasonal and Part Time employees. Harvest requires an influx of labor for a short period. These positions are a great way to get familiar with Remington Seeds and learn about our business and culture. Many employees hired in these positions find themselves offered permanent roles within the company. A small group of managers guides each Remington Seeds location. Managers typically focus on one aspect of location business, field or plant operations, with one Location Manager guiding those divisions along the way. Management is expected to get their hands dirty when necessary and ensure that the business principles and core values are being practiced. 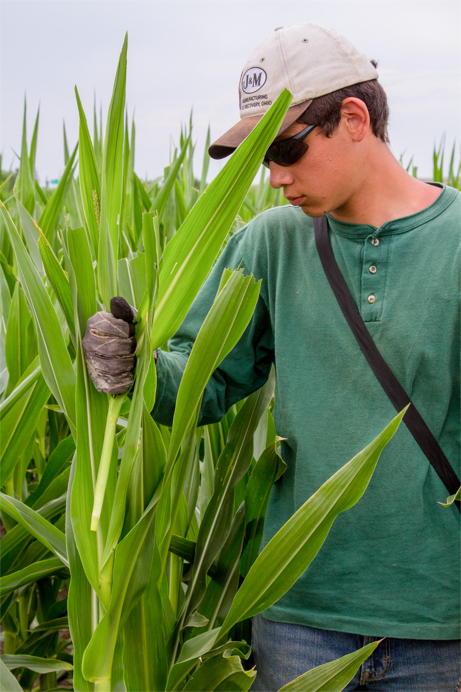 Each crop has a small team of managers that direct the locations from a central system. Remington Seeds has a hierarchy but without corporate bureaucracy. Regional and Crop Management drive our company in directions that ensure we are successful year to year. Remington’s corporate office handles human resources, financial services and data systems. These administrators offer the necessary support to our employees at the location level that helps Remington Seeds succeed. They understand, although they don’t directly work with products, that the end goal is to provide high quality seed to our customers. Gain experience to enrich your career path. Remington Seeds realizes the need to give young and talented individuals opportunities to learn and grow. Our Management Trainee program gives a platform for that opportunity and, if successful, produces an effective and successful manager for a number of our facilities. A management trainee spends 1-2 years at one location, learning management style, processes, and Remington’s culture and then is transferred to another Remington Seeds facility in a different crop to learn the nuances of that facility. In the end, we hope an individual has a well-rounded and broad education of the seed industry and our philosophy. If successful, that individual is ready to become part of location management where Remington Seeds sees the best outcome. Click here to view current openings within Remington Seeds, LLC in a new tab. We look forward to hearing from you!